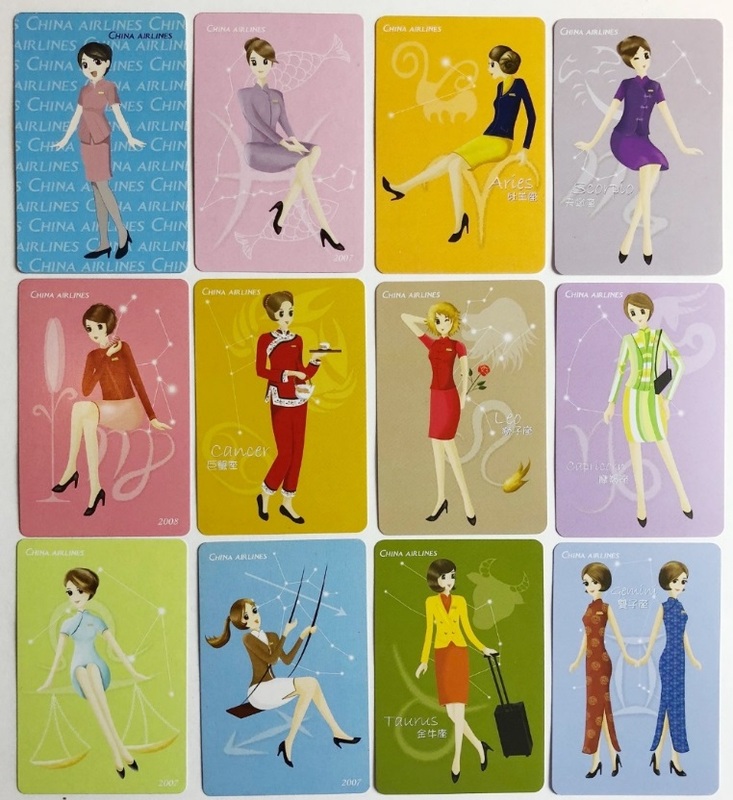 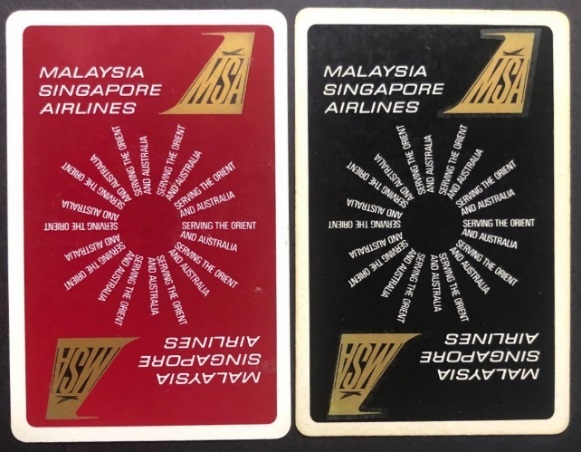 Airlines have issued playing cards for promotional purposes since the earliest flights. 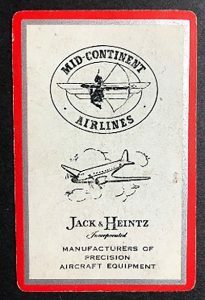 This was very logical as the flights were slow with many stops required to get to a distant destination (and of course there was no digital entertainment in those days) Originally, the airlines promoted their name and sometimes their aircraft on these early decks but in the 1940’s Jack and Heinz, an aircraft equipment manufacturer teamed up with Mid Continent Airlines, to do the first known joint advertising deck of playing cards. 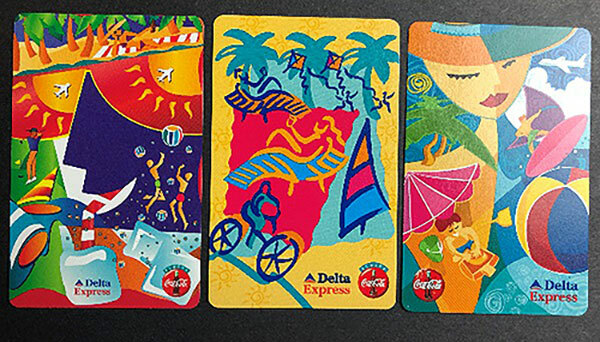 Since then, such “cooperative advertising” has become quite common with many well-known brands including Pepsi, Coca Cola, as well as credit card and auto rental companies partnering up with airlines to provide free entertainment and the chance to promote their product along with the airline. 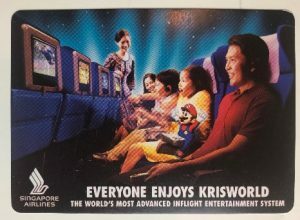 Sometimes the airline can get double mileage from promoting itself with another well known brand. 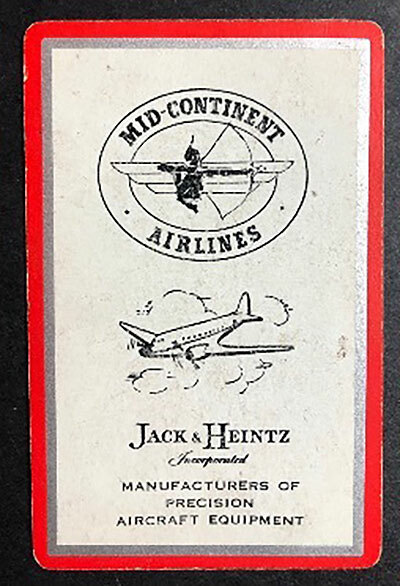 The earliest joint advertising cards I’m aware of, is from the 1940’s when Jack &amp; Heinz, aircraft equipment manufacturers teamed up with Mid-Continent Airlines based in Kansas City. Missouri with a dec k of playing cards with their details along with the Mid Continent Airlines logo. 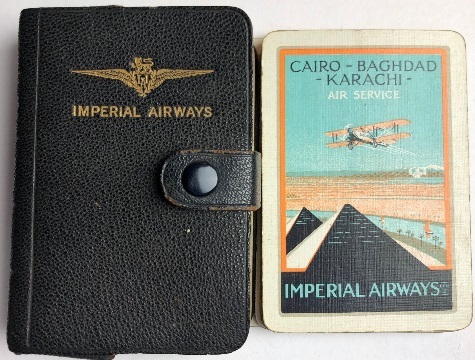 For many years cigarette smoking was permitted on aircraft. As a result, it was inevitable there would be some joint advertising issues. 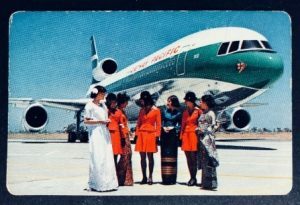 Aer Lingus, the Irish airline had several early jet-age aircraft along with cigarette advertising. 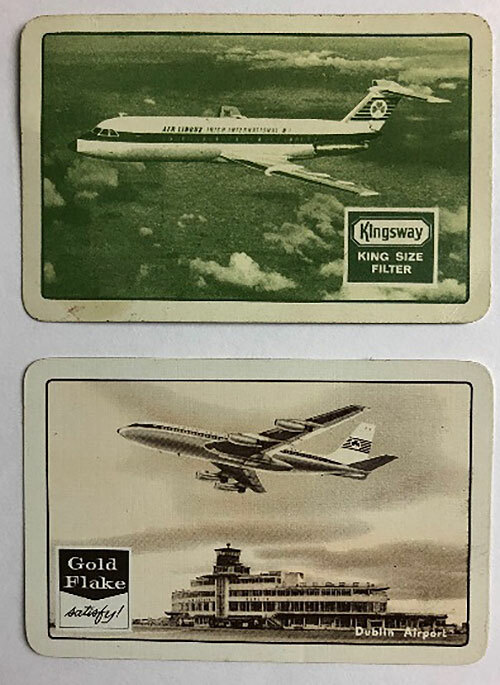 The top card is joint advertising with Kingsway Cigarettes and Aer Lingus. 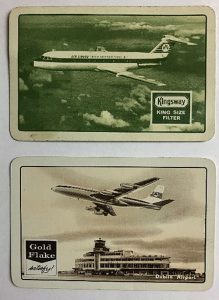 There were also several with join advertising with Gold Flake and Aer Lingus. 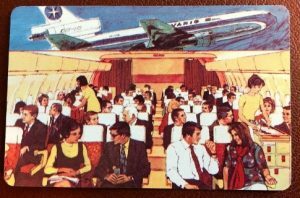 Aer Lingus has issued a number of joint advertising cards. 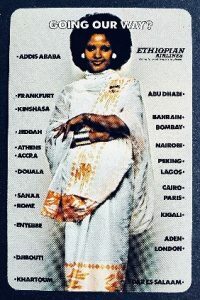 Given today’s thinking, its hard to believe that this advertising was in the 1960’s and 70’s. 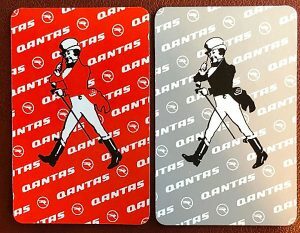 But smoking was really in then. 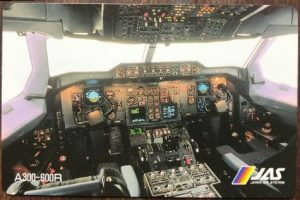 Today there are collectors who collect airline matchbooks and match boxes, as well as a good market for ashtrays with airline logos on them – all from that by-gone era. 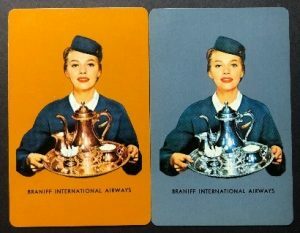 In recent years airlines have teamed up with various companies to promote both the airline and the product. The most prolific of these are the Coca Cola advertising which has appeared on playing cards issued by South West Airlines Delta Express has issued three different decks in conjunction with Coca Cola. The cards above show representative examples of advertising that airlines have done in conjunction with advertisers. The Pan American NFL design shown here is one of three designs that Pan Am did over a relatively short period. 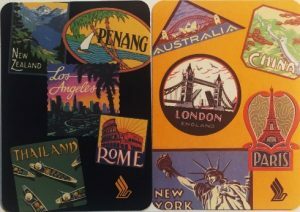 The two others promoted that Pittsburgh NFL franchise. The Thifty Rent-A-Car advertising involved a new livery for the entire Western Pacific Airlines aircraft. Western Pacific, operating from Colorado Springs is now defunct. 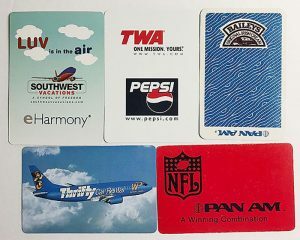 Credit Card companies have issued a number of joint advertising decks with airlines. Continental Airlines have issued two decks advertising their association with VISA (Check) Credit Card. 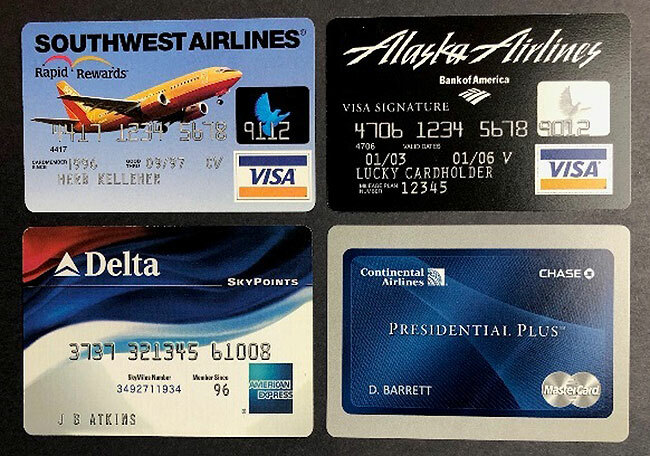 Alaska Airlines, South West Airlines and Delta have also issued credit card decks. 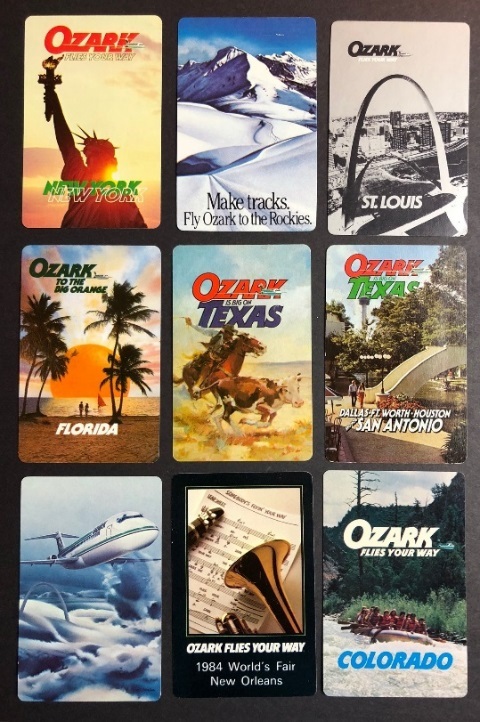 Not pictured here are decks from United Airlines, and Frontier to mention a couple more. 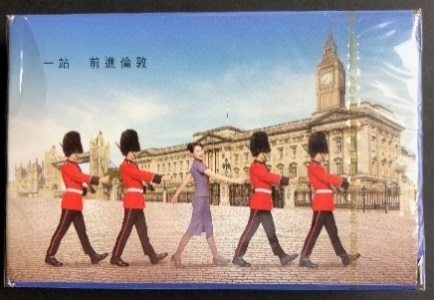 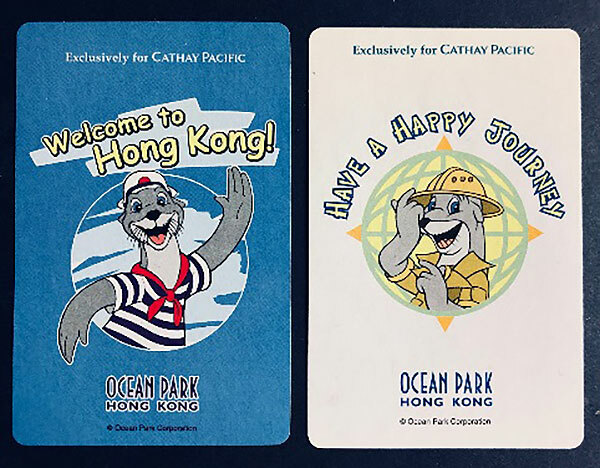 While foreign destinations are typically promoted by the airlines to attract fliers to those markets, Cathay Pacific Airlines based in Hong Kong produced two different designs in concert with Ocean Park, and amusement center in Hong Kong. 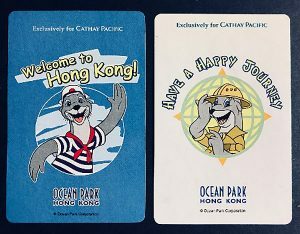 No doubt trying to get in-bound passengers to visit Ocean Park while in Hong Kong. 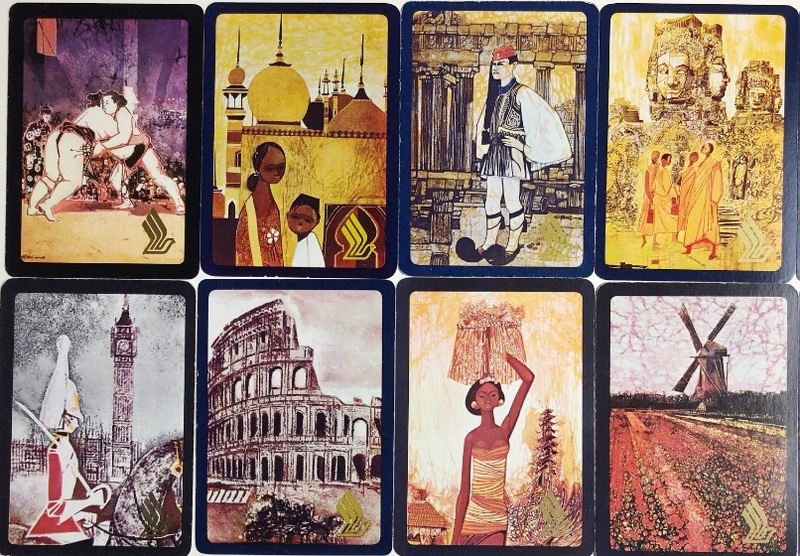 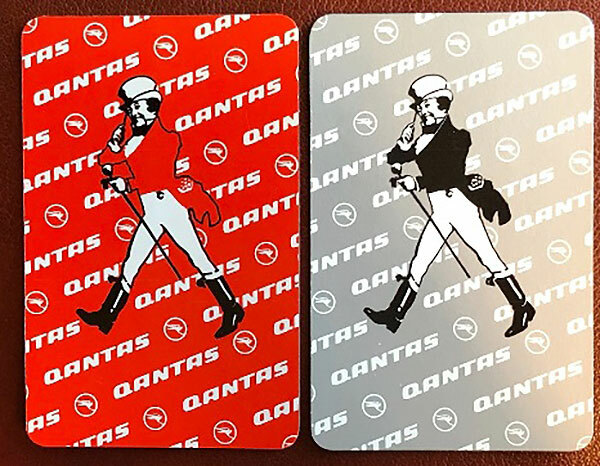 Australian carrier QANTAS Airways and the maker of Jonnie Walker Scotch Whiskey coordinated and issued a joint advertising pair of playing card designs in the 1980s Although there is no mention of the product being advertised the Johnnie Walker trademarked figure is. 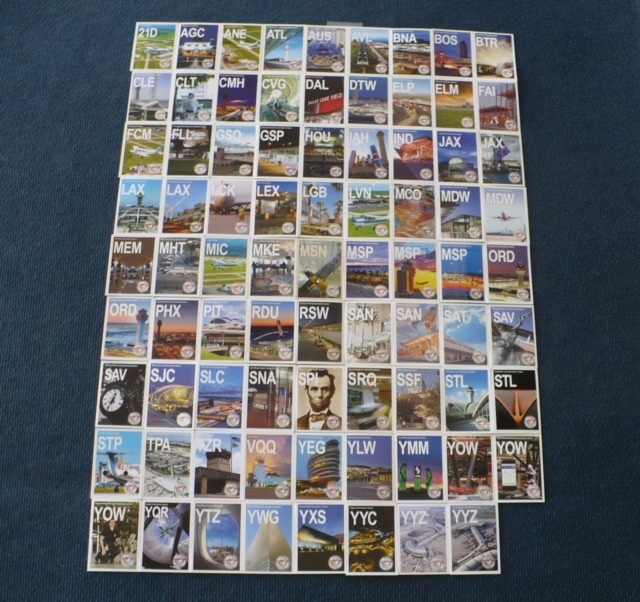 A set of 90 fact cards published by ACI showing their member airports. Image courtesy of Ken Bateman. 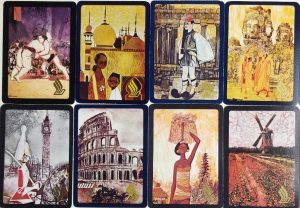 Please allow me to introduce myself as the successor to Fred Chan as Editor of the Playing Cards Section. 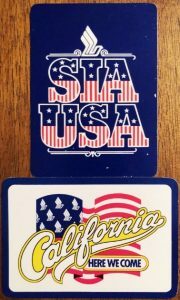 I worked for a major manufacturer of playing cards worldwide for 34 years. 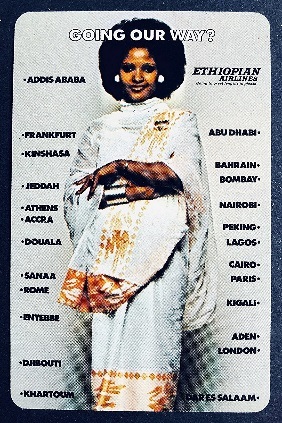 In those 34 years I travelled about 5 million miles for the company visting all continents. 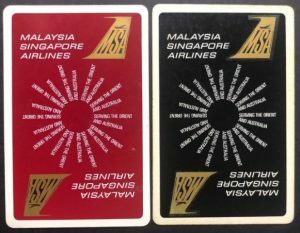 As a “professional disease” I started to ask for playing cards on the airplanes and consequently I had a nice collection before I got to know Trev Davis and Fred Chan through some collector friends. 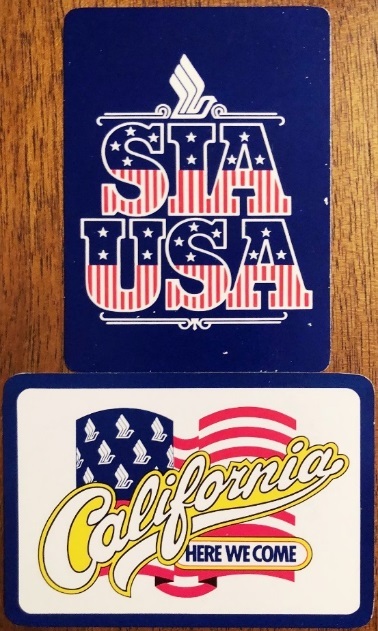 Then the ball really started rolling and now my collection counts for over 4,000 different decks…. 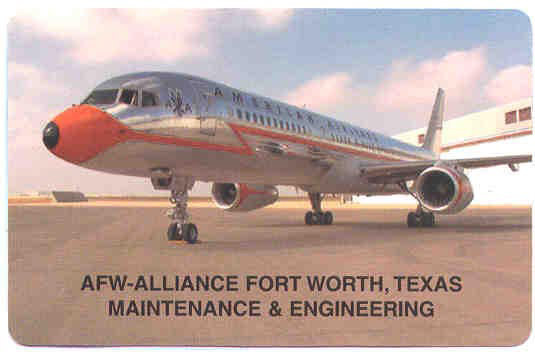 In my career I was also a platinum member of American Airlines for a several years so I have known this airline for a long time. American Airlines was an early legacy carrier and has put out playing cards since 1944 (Figure 1). 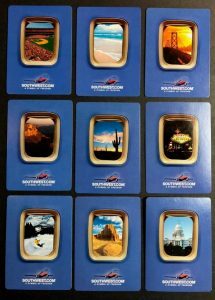 In total so far American Airlines has issued, to our knowledge, 75 different decks of playing cards carrying the AA logo. 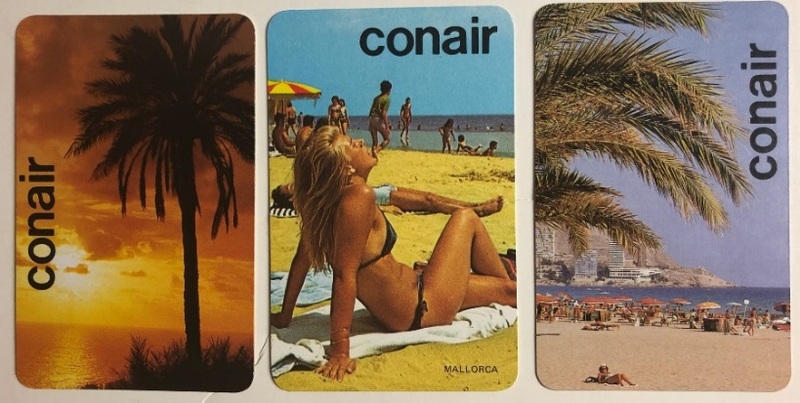 The subsidiary company American Eagle also issued 3 different decks of which the inaugural flight to Las Vegas is a tough one to find (see Figure 2). 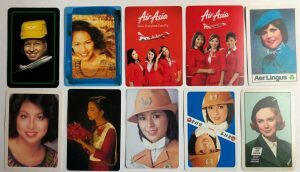 AA always have been very strong in displaying their name and logo on the cards as shown in Figure 3 through Figure 8 . 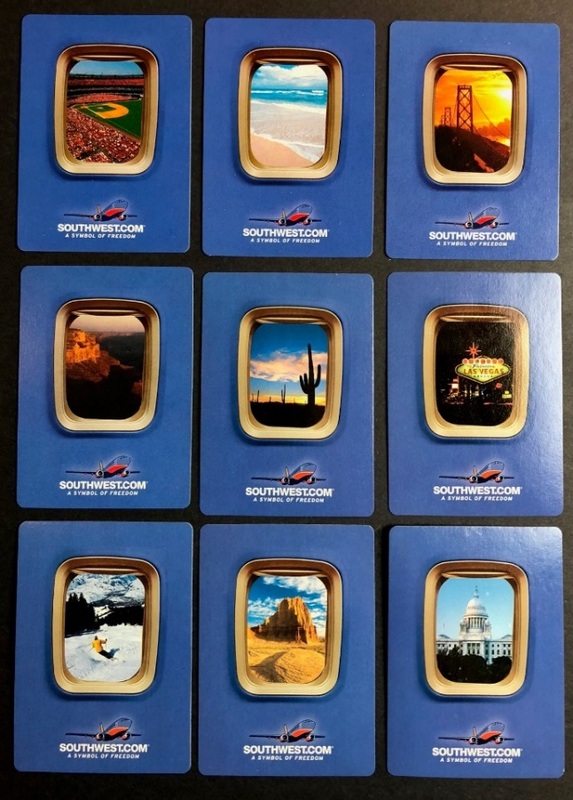 Recently right after the US Airways merger, AA came out with a deck of playing cards which was a generic deck in a plastic case carrying the AA logo (Figure 9). 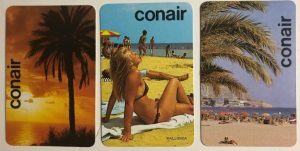 This was a disappointment to the collectors and not in line with the old style of issuing playing cards as part of their marketing campaigns ((see 242-A)) . Another issue AA(L) recently came out with, was a joint deck with their global partner Qantas (Figure 10).